The airport is an artificial island 2.5 miles long and 1.6 miles wide—so large it’s visible from space. Sometimes it’s a road and sometimes it’s a runway. Engineers extended the runway to 9000 feet by building a girder bridge atop about 200 pillars. Looks like any other midsize airport but between the two runways is an 18-hole golf course. The real challenge is making sure that the weight of the aircraft and cargo doesn’t break the ice. Not many airports are flanked by oceanfront property with tourists standing underneath. A cluster of islands sitting in the Arctic Ocean. It’s the world’s northernmost airport where tourists can book tickets. When the tide comes in, the runway disappears. A 3.2 square mile island made by merging two smaller islands with reclaimed land. The runway is 7000 feet long in a valley surrounded by mountains. The world’s highest airport, more than 14,000 feet above sea level. The largest airport in the world with over 300 square miles of desert. Has a 9200-panel solar farm and produces 3 million kilowatt-hours of electricity per year. 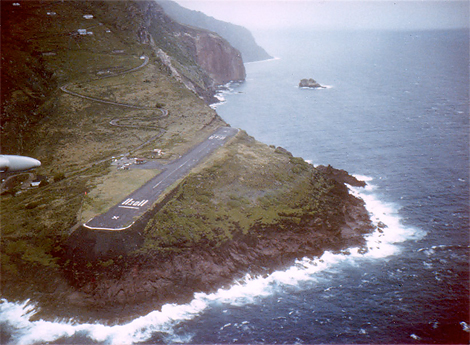 A set of highways links the runway with the small island of Taipa. The runway is located between the mouth of the Copalis River and a barrier of rocks. It’s submerged every time the tide rolls in. My personal favorite was Meigs Field- the small island airport previously located near the city center of Chicago. It’s gone but I’m willing to give Juancho Yrausquin a try. 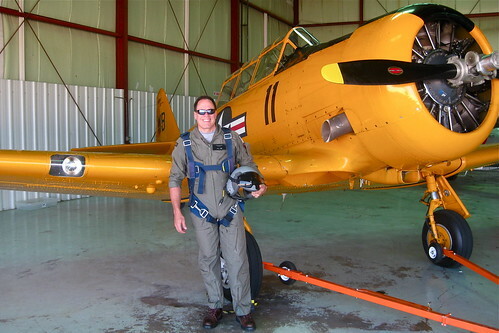 This entry was posted in Commercial Aviation, General Aviation. Bookmark the permalink. Only ones I’ve flown into are Don Muang, Meigs, and the OLD Hong Kong (on R&R ) in ’68. Which had a VERY interesting approach. PS,you could get a whole, fresh pineapple for 25 baht (5-cents) behind the pax terminal in 68! I’d be interested to know if anyone has flown to more than a few of them. Off the beaten path if you will. I’ve been to three including Meigs. That’s cheap pineapple but baht is Thai currency. What airport? Sorry-Don Muang. Had a veritable farmer’s mkt set up there in those days. We’d always buy a bunch to take back to DaNang. When I was “FACking” every once and a while 2-3 of us would hop in an O-2 and head to Bangkok for a couple of days of unofficial R&R if schedule permitted and we had someone to cover the duty–usually rated duty officers at the DASC who didn’t get a lot of flt time otherwise and flew on their days off the duty desk. PPS: Don’t know about today–but in those days all DASC “FIDOs” (Fighter Duty Officers) were FAC-qualified and checked-out in the aircraft. According to what I’ve studied (of course you’d know more), FAC’s frequently had lots of hours including jets and were not junior officers. Majors with fighter experience were flying simple slow moving aircraft. Must be that their better airmanship and judgement were necessary to direct strikes and rescues. –Ever consider how much of a sitting duck you were at that time? PS: I might expand by saying I never realized how much senior commanders have a “jungle-drums” network to keep track of children/relatives of other senior officers who happen to be in their command. I was unfortunate to draw the short straw once in plt tng and got stuck as Officer of the Day at Wing HQ one Sat night when I had to go into the Wing Cos office to lay some incoming over-night msg traffic in his in-box (this was 1966, after-all.) Underneath the glass on top of his desk were the names of every student pilot who had a relative of O-6 and above with the service branch, rank, command and phone# of the relative beside the trainee’s name. LOL!! Military patronage at work. It happens everywhere (especially in politics i.e. Chicago). I still wonder about getting the “promotion” to be a FAC. “Congratulations son-you have the privilege to be the first in every mission to be shot at in a slow mover without armor or defense capability”. I’d want to be promoted to a jet. More fun with the prospect of slightly more longevity.